Do you have photos, historical accounts or other items pertaining to the Arco area? Would you like to share this historical information with the world? 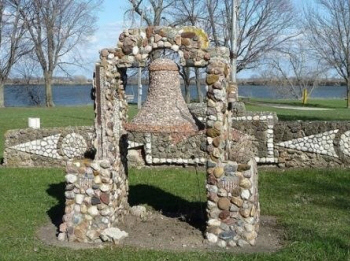 LakesnWoods.com would like to publish your Arco photos (current or historical) or historical accounts on this website. Original materials can be returned and your privacy will be respected. Almost right in the center of Lincoln County is the community of Arco. Most of the citizens are of German heritage. When you visit Arco, don't miss The Brick Manor, a premier lounge and restaurant, one of the area's best! 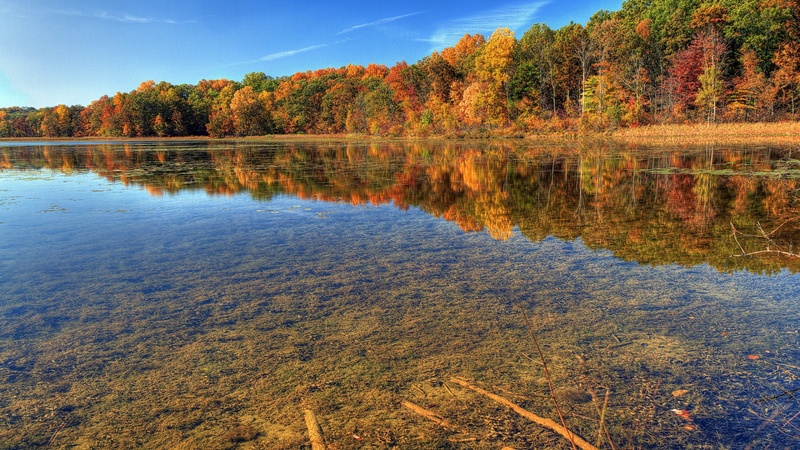 Or spend some time fishing or boating on Arco's two twin lakes. 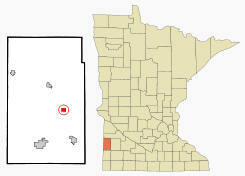 Arco is a city in Lincoln County, Minnesota. 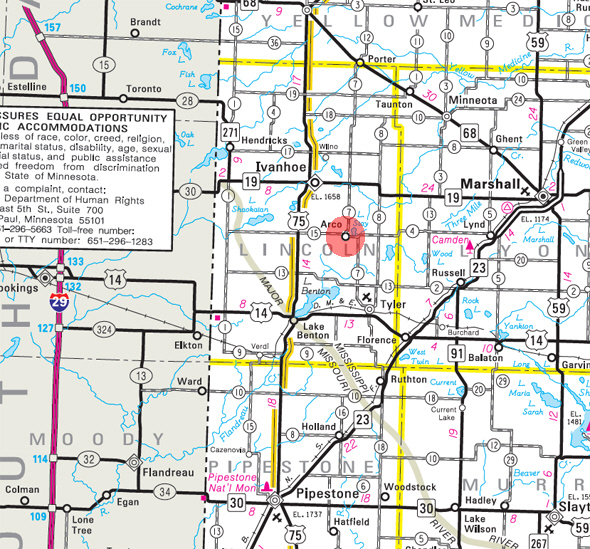 County Roads 7 and 15 are main routes in the community.According to the United States Census Bureau, the city has a total area of 0.77 square miles (1.99 km2), of which 0.64 square miles (1.66 km2) is land and 0.13 square miles (0.34 km2) is water. The elevation is 1,677 feet (511 m). As of the census of 2010, there were 75 people, 37 households, and 18 families residing in the city. The population density was 117.2 inhabitants per square mile (45.3/km2). There were 51 housing units at an average density of 79.7 per square mile (30.8/km2). The racial makeup of the city was 92.0% White and 8.0% from other races. There were 37 households of which 16.2% had children under the age of 18 living with them, 37.8% were married couples living together, 8.1% had a female householder with no husband present, 2.7% had a male householder with no wife present, and 51.4% were non-families. 45.9% of all households were made up of individuals and 29.7% had someone living alone who was 65 years of age or older. The average household size was 2.03 and the average family size was 2.89. The median age in the city was 49.5 years. 16% of residents were under the age of 18; 12% were between the ages of 18 and 24; 13.4% were from 25 to 44; 33.3% were from 45 to 64; and 25.3% were 65 years of age or older. The gender makeup of the city was 49.3% male and 50.7% female. 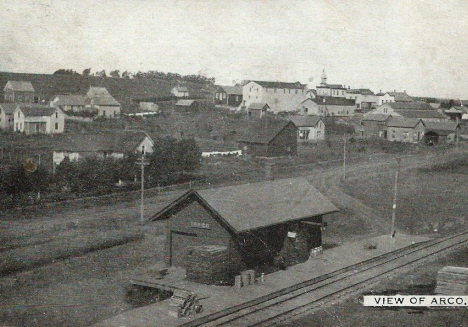 ARCO, a city in section 31 and 32 of Lake Stay Township, was platted in 1900 as Arcola and first incorporated under that name in June 30, 1903, being named by the Chicago and North Western Railway officials for the ancient city of Arcola in Italy; the name was later shortened to avoid confusion with a railway station named Arcola in Washington County, and the city was reincorporated July 28, 1903. 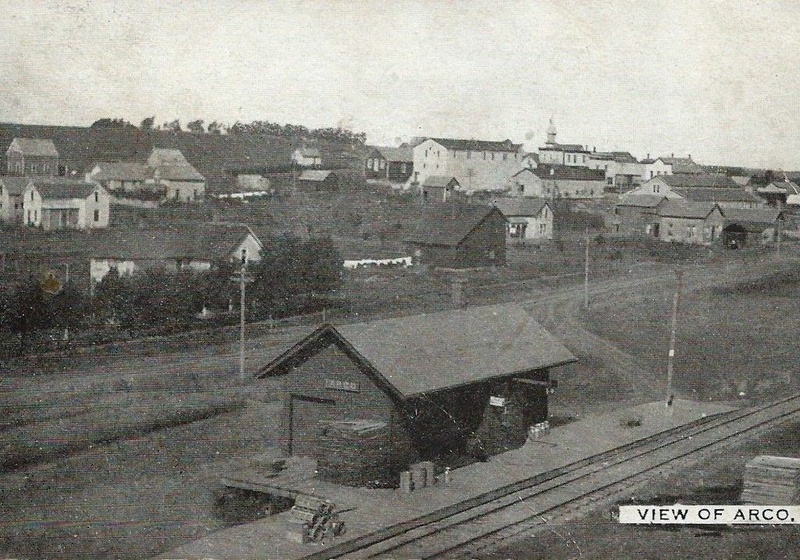 Its post office began in 1900 in the general store of postmaster Christian Larsen; it had a station of the Minnesota and South Dakota Railway.